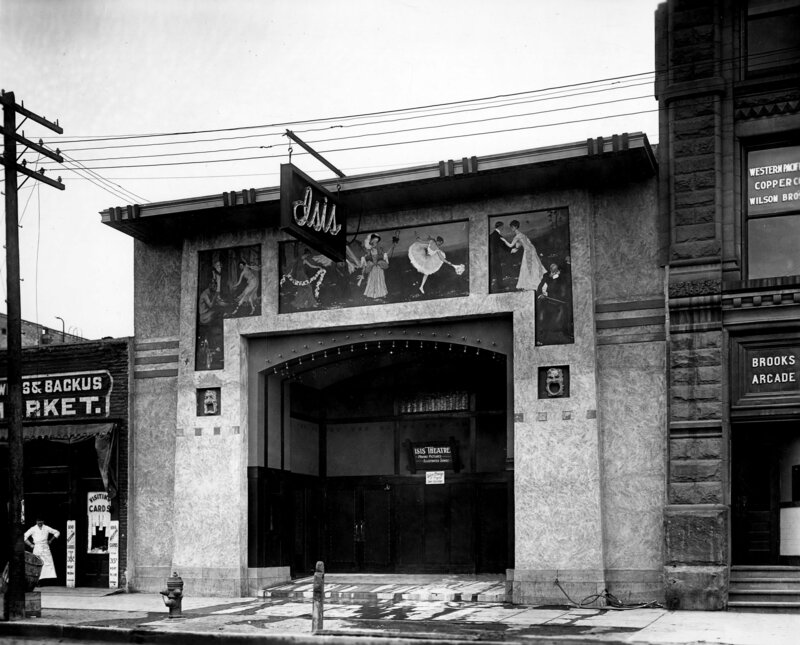 Description Exterior of the Isis Theatre, March 2, 1908. Shipler Photog. #8170.